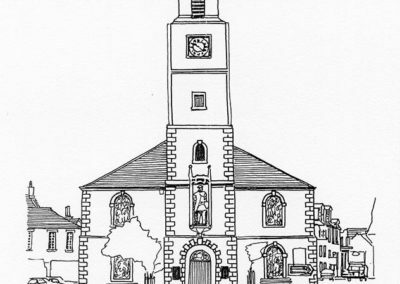 By John Reid of Nemphlar 1774. 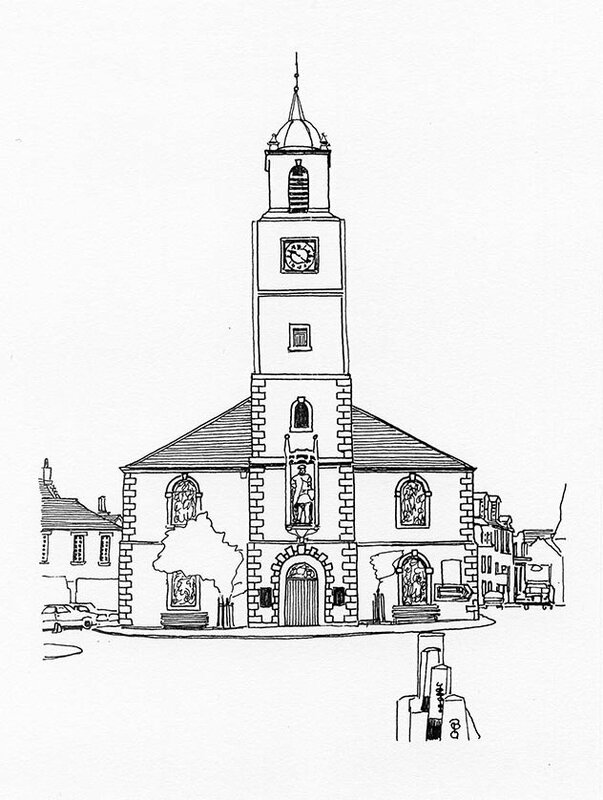 Large two-storey classical box with a square tower and steeple, staning prominantly at the bottom of the high street. There is an 8-foot statue of William Wallace in the steeple, sculpted by Robert Forrest. Stained glass, baptismal font in Caen stone. Fine pipe organ. Church exterior restored 2008-09. Contact St Nicholas Parish Church.